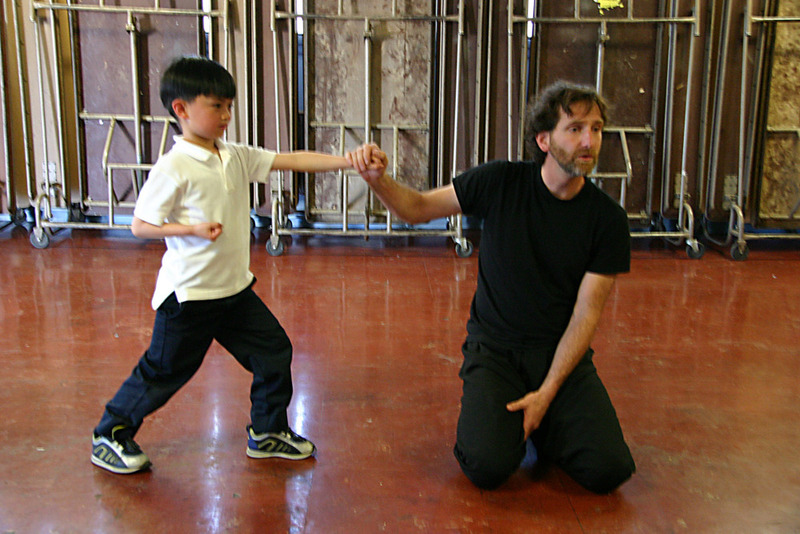 Scott teaches Northern Shaolin, the traditional Chinese art of high kicks and soft spiraling stances which is the foundation practice of Chinese Opera. Students develop dynamic strength, flexibility, speed and balance while learning to embody sensitivity and life-long discipline (called kungfu in Chinese). Classes are traditional and use drums, gongs, and woodblocks. Longer residencies often end in a performance. In previous years Scott’s advanced students were honored to perform on stages around the San Francisco Bay area. Scott has over 30 years of experience teaching this art form. A lesson lasts about one hour, can beheld outdoors, and happens at least once-a-week. Curriculum Overviews and Sample Class Plans are available upon request. 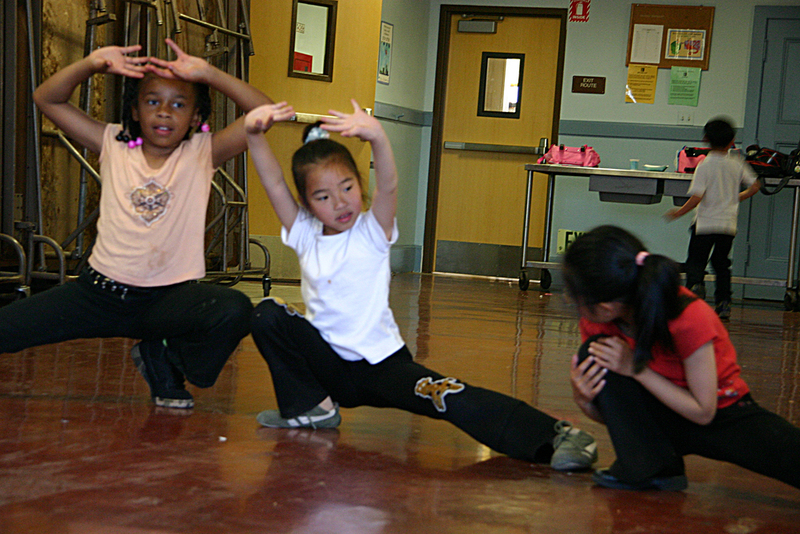 Northern Shaolin satisfies Colorado Curriculum Standards for all grade levels under Dance and Drama and Theatre Arts! Scott is now available for teaching in the Boulder Area. 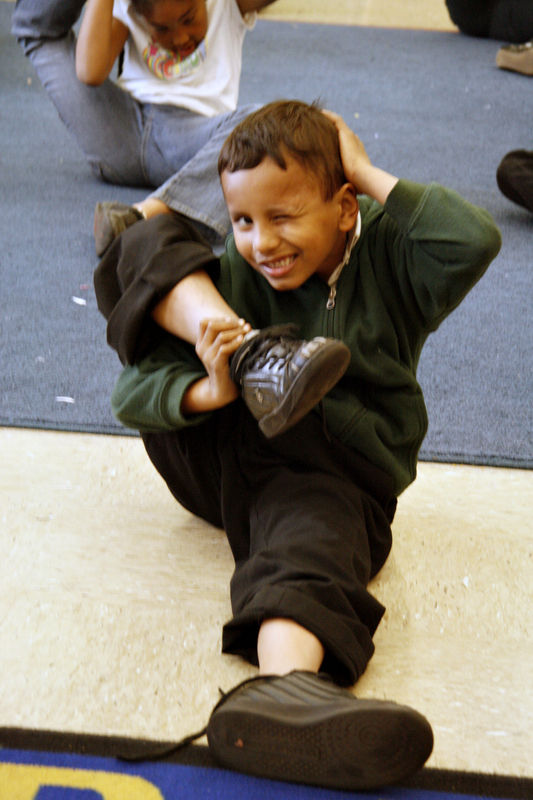 He has taught in-school residencies and after-school classes at over 40 San Francisco Bay Area schools. 20 Animals and 5 elements.The funnest yoga class for kids ever. Our downward dog shakes her belly and scampers about the room, our fluffy rabbit hops around and wiggles his tail, and our frog eats flies and lands on hot bricks. This style of yoga was developed to play the animals roles in Chinese Daoist Opera. It comes with its own traditional instrument, gongs, drums and wood blocks. The twenty animals mix together with the five elements to make a soup of spontaneity, radiant health and performance prowess! Scott is currently scheduling Residencies for the 2016-2017 school year. Bringing Scott to your school is sometimes as easy as just asking the school's arts-education coordinator or the principal! Schedule a class, workshop, performance, private lessons or a lecture-demonstration today!